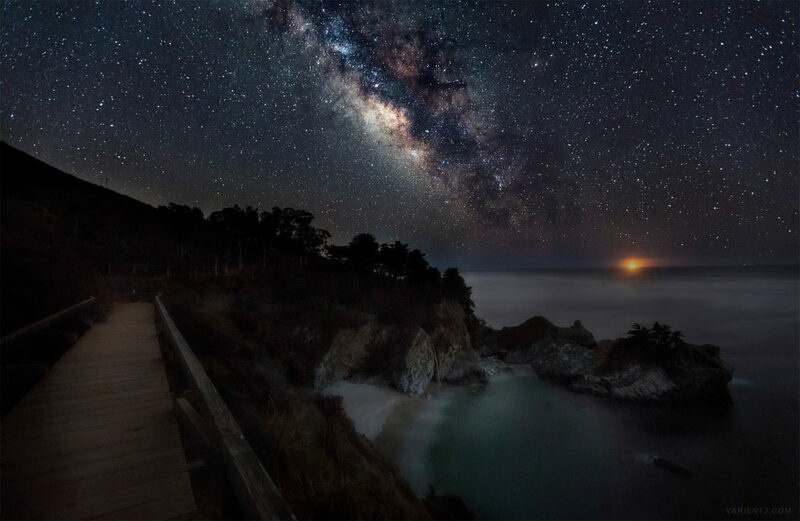 The elusive Milky Way Galaxy is one of the most interesting naked eye sights in the night sky. But its not always best seen, there might be a lot of light pollution in the area you live and the timing needs to be right. 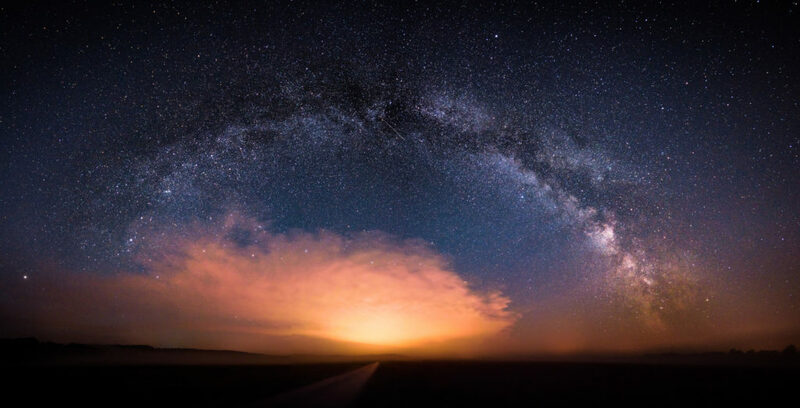 The summer Milky Way will look brighter in the Northern Hemisphere. Most noticeably you should be able to see the Great Rift in good dark skies. This dark lane in between Cygnus and Scutum is where a string of dense interstellar clouds block the view of more distant stars. Table is valid for the Northern Hemisphere. *1Q means first quarter moon (half full). In its first quarter the moon rises around noon and sets near midnight. 2Q is a Full moon. It is nearly impossible to see the Milky Way when the moon is near full. 3Q is the third quarter (also half full) moon which rises near midnight and sets near noon. In the US Central Nevada, Eastern Utah, Montana, Death Valley California, Breckenridge, Colorado, Hawaii. In short, remote areas far from any light pollution afford the best view. But if you know what to look for and when and where to look you can spot the Milky Way from many places throughout the world. Galloway Forest Park is the UK’s first Dark Sky Park. 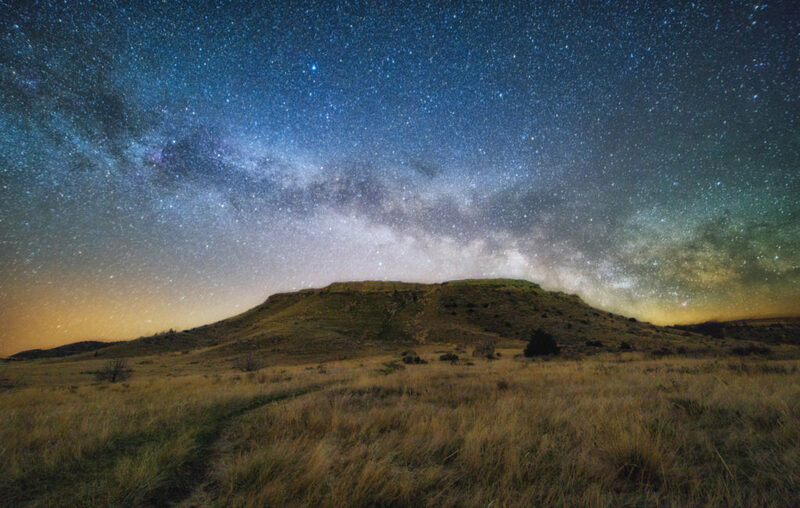 Over 7,000 stars and planets are visible with the naked eye from the Forest Park, and the bright band of the Milky Way is usually easy to see arching across the sky. One of the best astronomical sites in the world: Pic du Midi Observatory in the Pyrenees mountains in France. Tourists are welcomed up there and you can spend a night at the summit (they have a hotel and a guided star observation tour). In Germany we have Naturpark Westhavelland. Despite being only 70 km from Berlin away, it is one of the darkest places in Middle Europe, equaling even Namibia. It was considered a Star Park by the International Dark Sky Association (IDA) at 2014. Even air-glow and polar light observation is possible. Australian Outback is known to offer a spectacular experience when it comes to stargazing. The sky is very dark as it is far away from any light pollution from the cities. The dark sky clearly reveals the Milky Way which is full of seemingly brighter and bigger stars. The areas that give the best sky views in the Australian outback include Uluru, Arkaloora Wilderness Sanctuary, and Warrumbungle National Park. Namib Desert, Namibia. The Namib Desert is perfectly flat, which grants you a 360 degree view of the sky. Located far from any human habitation, the desert has no light pollution at all. 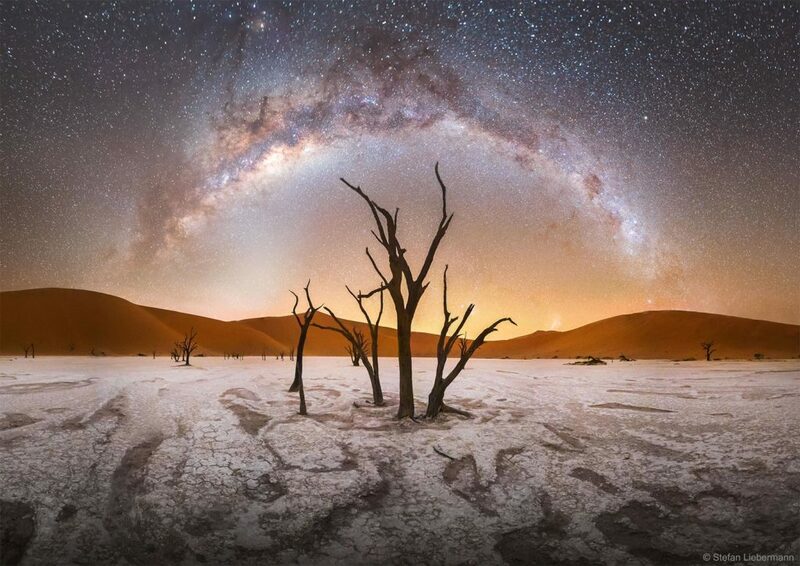 As such the Namib Desert skies are among the darkest in the Earth and so the best for watching the stars in the night. 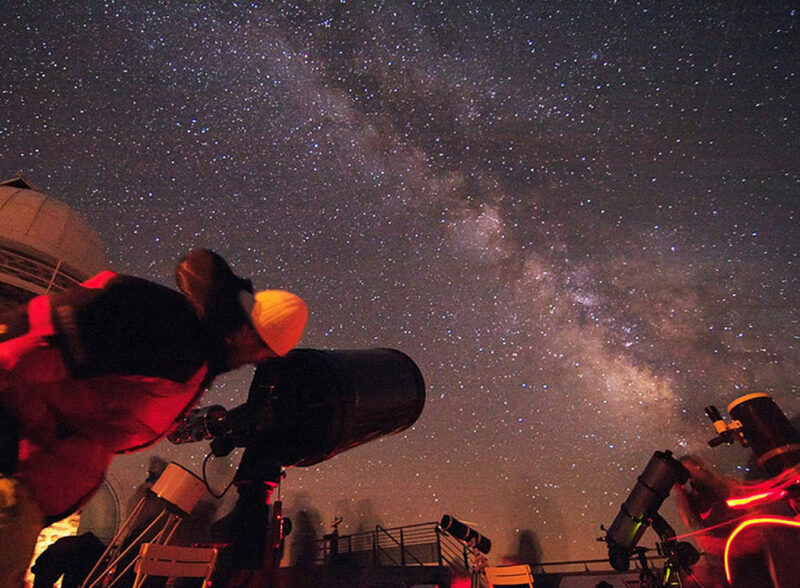 There exists an observatory on the desert where a resident helps visitors to navigate the sky by use of a 12-inch telescope. How to see the Milky Way Galaxy from Earth at night with the naked eye? ‐ No telescopes, no binoculars, (just eyeglasses if you’re near sighted) and at least one eyeball. TIP: By using a cheap binoculars which I got from Amazon can increase the view experience being able to see other galaxies as Andromeda Galaxy (M31), nebulae and event comets. At the other end you can use a high end telescope which also I got from Amazon that allows you to simply enter the date, time and your location, and then it points to the star. A fat telescope like this model offers views of celestial objects that you may not be able to view with a smaller reflector. ‐ Best atmospheric conditions, a misty sky wouldn’t block it completely, nor would humidity. It would make it not as sharp, but still visible. ‐ Give your eyes at least 15-20 minutes to adapt to the darkness though. Your eyes will become more sensitive to low light level. You can check this light pollution map as a start if you can’t travel or live near those places. 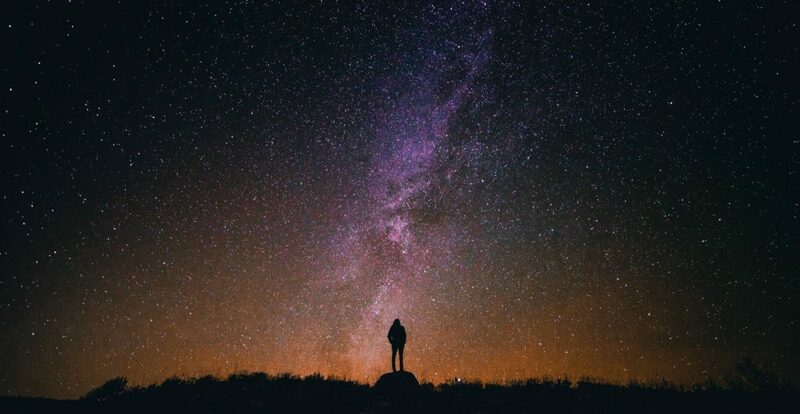 We live in the Milky Way Galaxy, this means that every time we gaze at the night sky we are looking at the Milky Way Galaxy. More exactly the spiral arm closer to the galactic center one part of the year and in the other part we see the near edge of the spiral arm farther from the galactic center. Due to nebula and dust clouds, we can’t see the center of our Galaxy (in visible light) at any time.